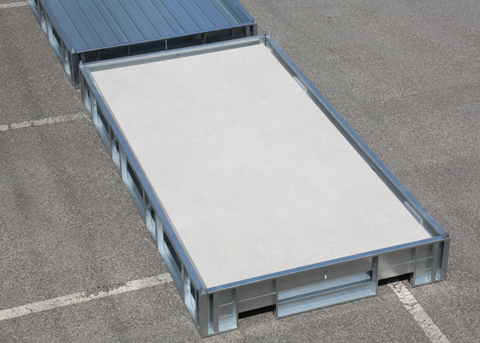 Large-size ceramic tiles are now increasingly required and used for surface covering in the building market. The new dimensions of the tiles available today allow a wide versatility of use; however, you have to pay great attention and organization in the storage, handling, transport and unloading phases. 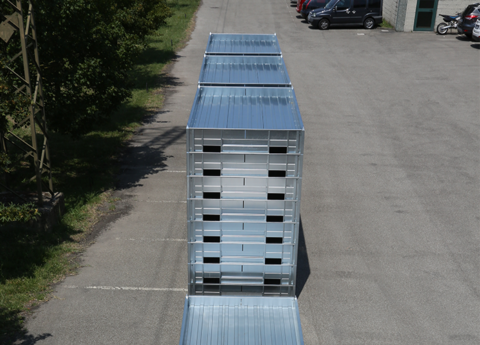 All these operations are currently carried out either with traditional wooden trays or by using vertical packing stands. 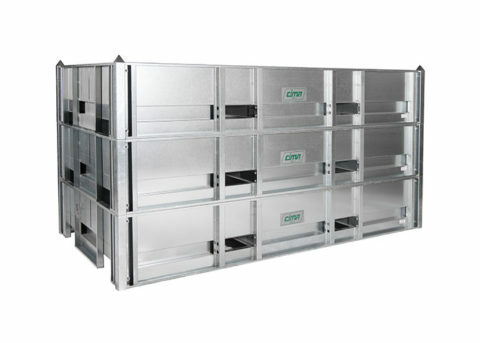 Thanks to the experience gained in the industry for almost 60 years, CIMA has developed a careful vision in solving problems related to the storage of ceramic products and in the optimization of the related processes and, to meet the new market needs requiring increasingly high performance and optimised solutions, it is the first company to have designed and patented the modular and reusable “GALVANIZED CASE”, created in close collaboration with manufacturers, to meet and satisfy all the customer’s needs. 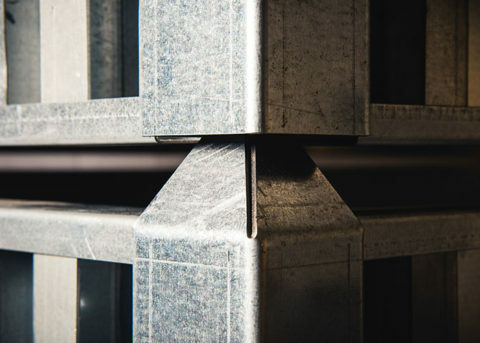 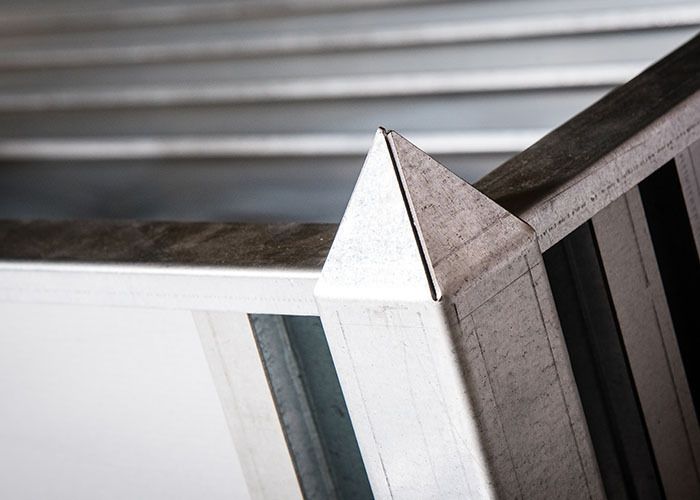 The GALVANIZED CASE produced by CIMA allows safeguarding the integrity of the contents, creating a shell-like barrier, which is resistant to stress and shocks and, above all, fireproof because entirely made of iron, an inert and non-flammable material. Thanks to this particular, the risk of fire in the storage warehouse or in the shipping container is completely eliminated. 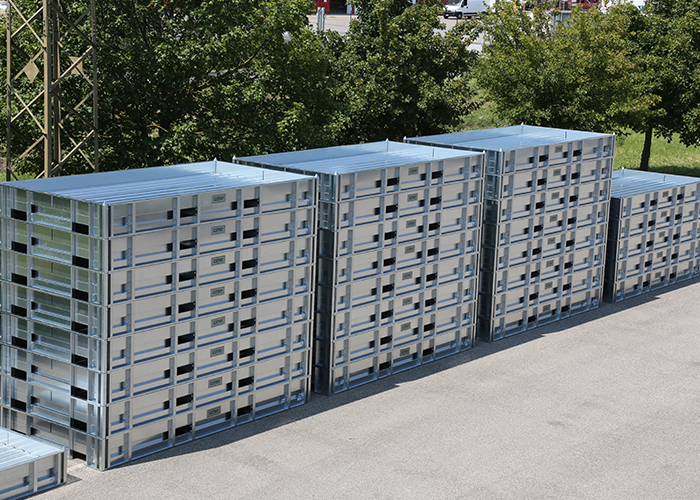 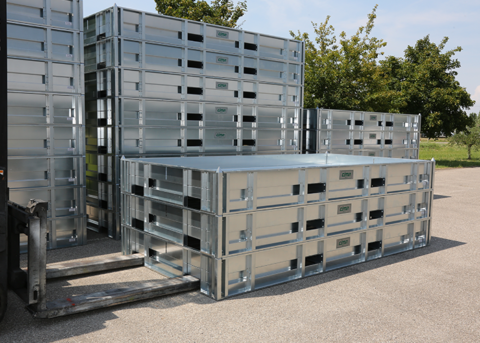 The GALVANIZED CASE is non-toxic and does not develop or be affected by microorganisms. It is completely RECYCLABLE, unlike the wooden cases, stands and trays commonly used, whose production and the impossibility to reuse them more than once, are the cause of continuous deforestation for the retrieval of new raw material. 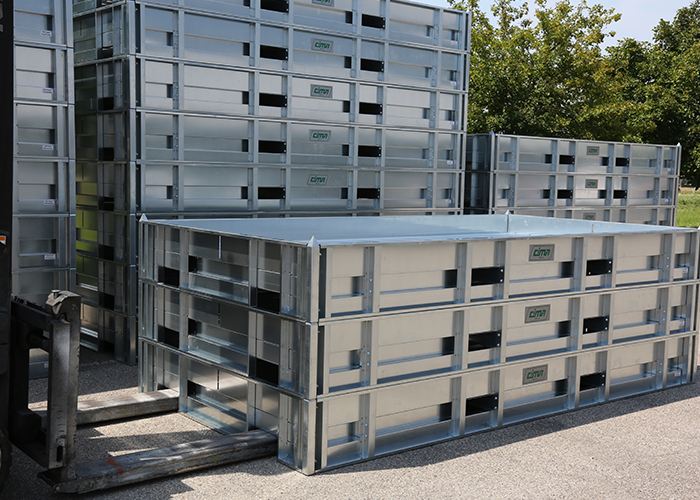 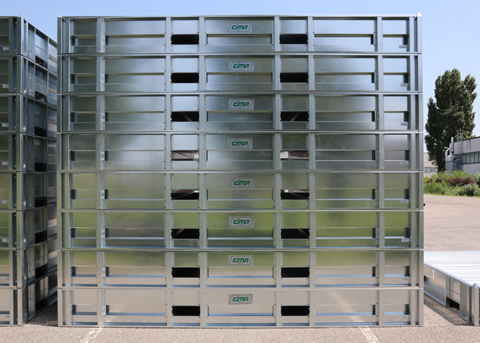 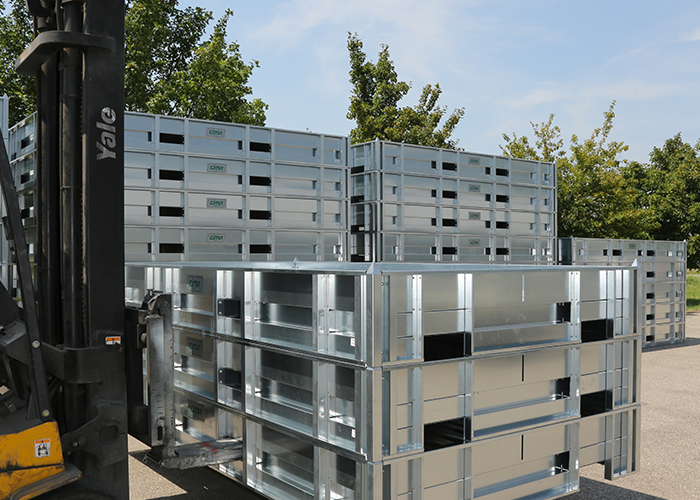 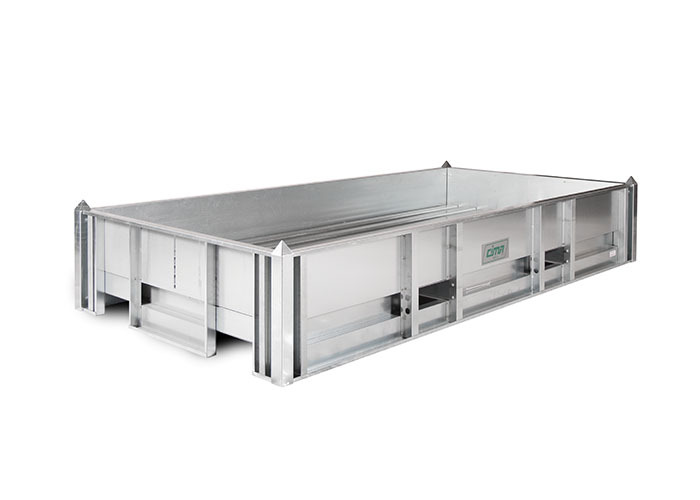 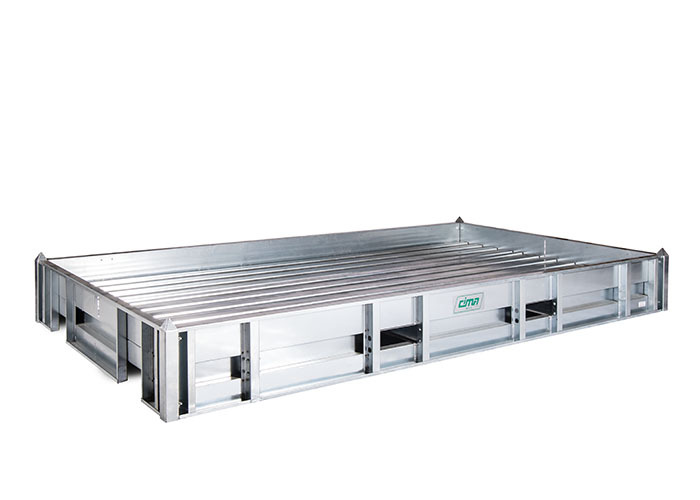 The added value of the GALVANIZED CASE is the low environmental impact, a Green and environmentally friendly choice. Compared to the common wooden trays and stands, the GALVANIZED CASE allows you to transport more tiles for the same amount of space occupied; in addition, the modularity of the CASE offers the possibility to overlap and stack more elements for an optimization of the space during transport and warehouse storage. 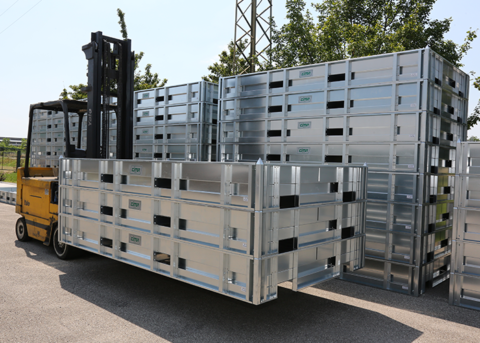 The space-saving and the ability to reuse it repeatedly for multiple handling and transport cycles produces, compared to traditional systems, cost depreciation and short-term savings .